The Matchbox kit offers two options in weapons for the rear seat defensive position. 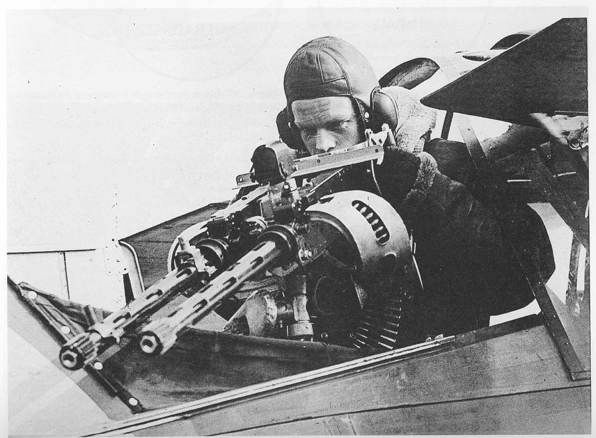 I know the first to be a single barrel Vickers K. Gaspatch offers an exact replacement for that weapon. Matchbox also offers the option of a twin machine gun which is belt feed, however while they do include the ammo boxes, no semblance of the feed belts is offered. Can anyone (Richard) help me identify these twin guns? I regret that I don't know which Lewis guns these may be or if they were available belt fed- it is my understanding that most Lewis guns had a top mount drum magazine but I may be wrong . 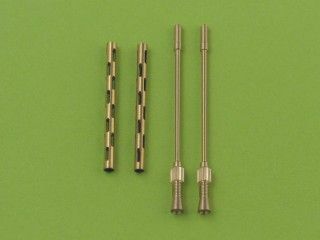 If you go the Browning route and if none are available in 1/32 I'm reasonably certain that they are available by several aftermarket makers in resin in 1/35 which is pretty close . Richard - I knew I could count on you. Remember; Always lead your target! 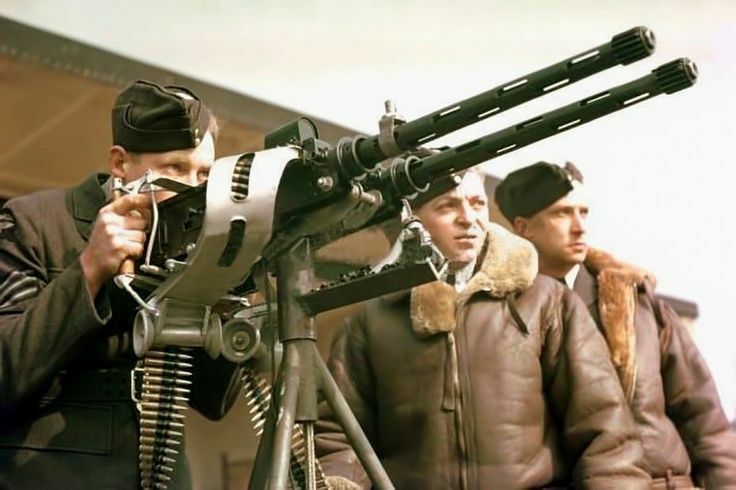 That is another problem I had with the recent Dunkirk movie, the British pilot doesn't start shooting until the Jerry is centered in his sights. By then it's too darn late! The whole idea is for your fire to arrive at the exact same instant the target arrives centered in your sights. Well I've gone through the Gaspatch catalog. I have the choice of either the exactly correct small weapon (Vickers K) or a mash-up of the Browning .303 with a lot of compromises. 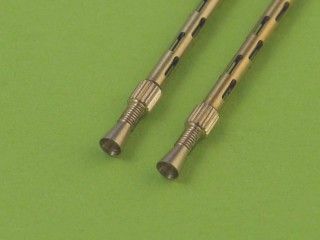 The Gaspatch Brownings can be mounted as twins (one can be converted to a right-hand feed.) However the gun mount will have to be scratch built as will the trigger handles and belt feeds. Also none of the barrel heat shields are anywhere near correct for the early aircraft style weapon. Hum . 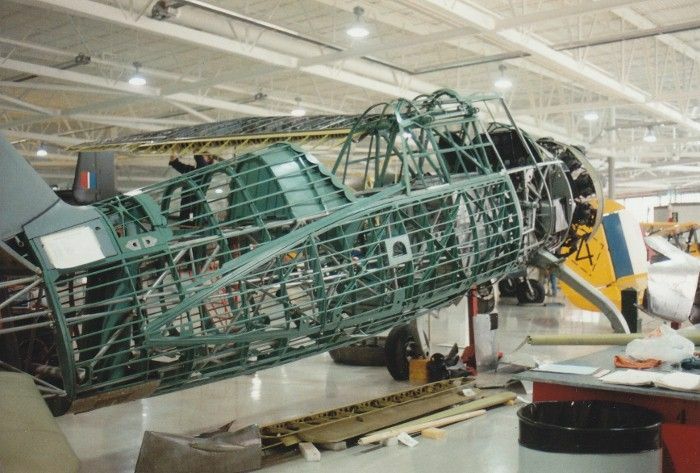 . . . . . .
Our Lysander (at the Canadian Warplane Heritage Museum) suffered an "off field landing" last year - saved only by a BRILLIANT piece of flying after an engine failure. These two photos property of James D. Julia Auctioneers - published on the internet and used here for discussion purposes only. Gaspatch offering of .303 Browning with barrel end heat sink and flash hider. Mount, trigger/handle assemblies and belt feeds would have to be manufactured. Knocking off the flash hidders would be the easiest part. p.p.s. I am assuming that side mounted lite gray box seen in the above photo mounted on the receiver is some sort of remote firing solenoid??? Easy enough to remove. Note that the firing handles on the tripod mounted twins photo I posted earlier are of a different design - most similar to the twin weapon included in the Matchbox Lysander. I suspect these handles are closer to what was actually used on the Lysander and perhaps easier to model. Building the belt feeds is the item that troubles me the most of all. 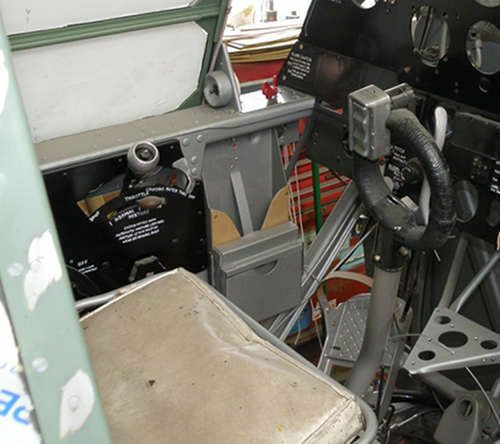 I don't suppose anyone would have photos or info on the fold away support pedestal both these guns were carried on in the Lysander? I tried using "Smart Enlarge" in my photo editing software to get a better look at the mount under the Vickers K but it did not seem to help much. 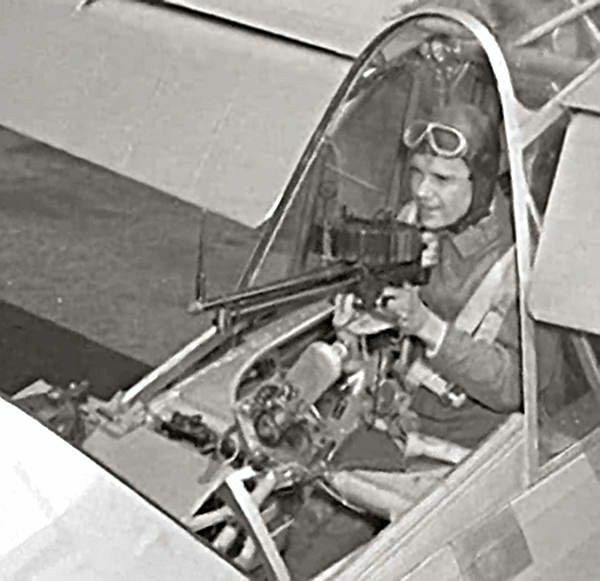 Also I suspect the Lysander that was set up for nighttime spy work did not carry a self defense weapon. 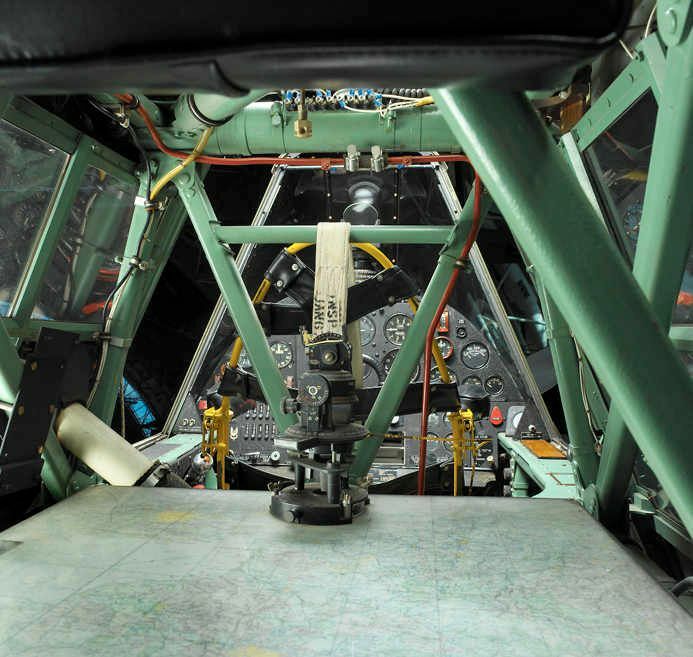 First of all the missions were at night (hard to spot/shoot someone behind you,) and second of all the rear seat room was needed to hall supplies and personnel. 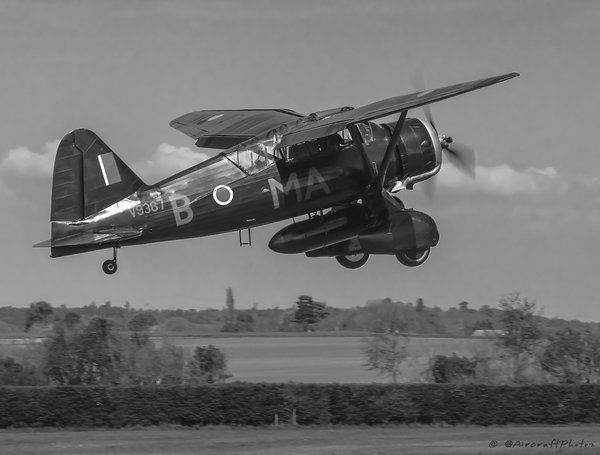 I read somewhere that on one occasion the Lysander hauled THREE French agents back to England in a single trip. I also read that for night missions the guns were striped out as was the long range radio to make space, improve fuel economy and increase speed. 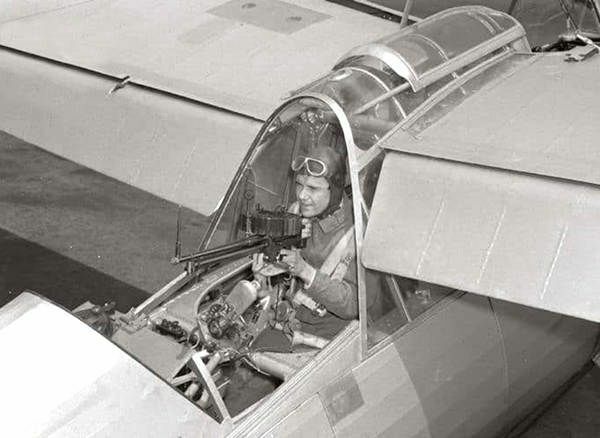 On the other hand I would guess that a Lysander doing daylight photographic work would need all the self-defense capability it could muster. 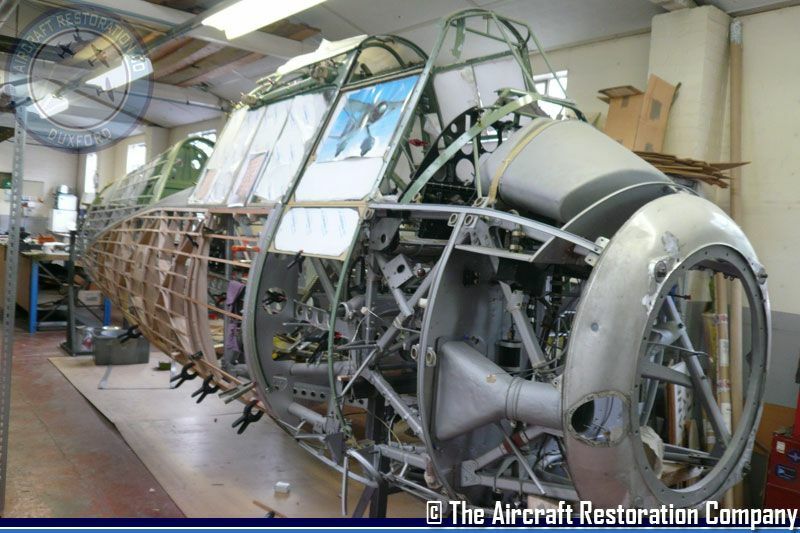 Matt, sorry to hear about the near crash but luckily you guys still have the plane to work on and re-restore. 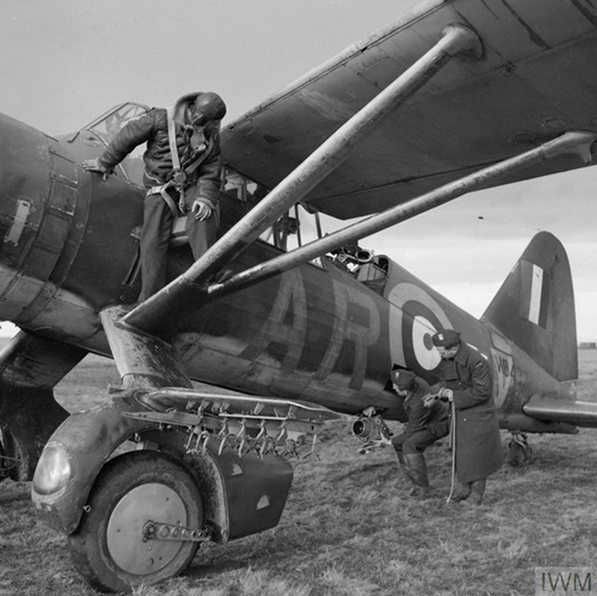 Interesting image: Lysander on photographic mission - note the aircraft is armed with twin belt fed Brownings. I know this photo shows a museum preserved Lysander. 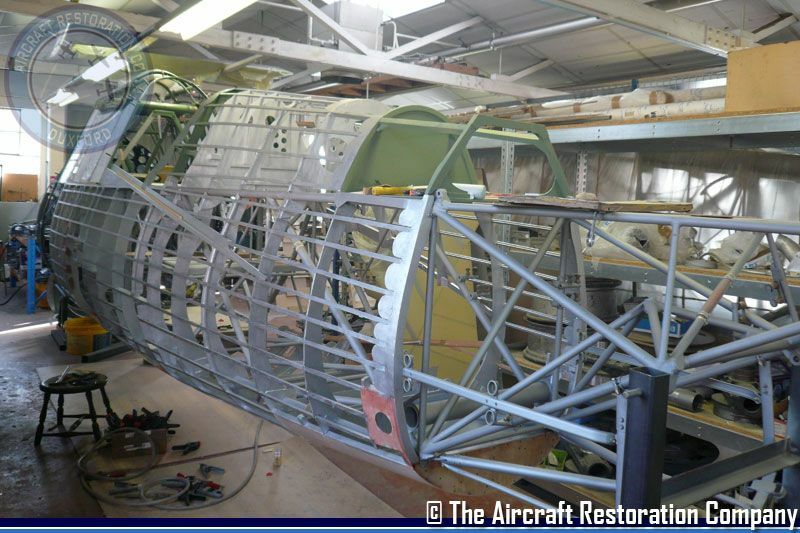 It utilizes the standard Lysander fuel tank without having the upper auxiliary gas tank that would otherwise fill the wing spar support tower. So in lieu of the aux gas tank we get a navigation chart table. The Matchbox model gives us the option for showing a chart table. My question is this: what is that device sitting on the map? I have been a surveyor but never a navigator so I have never seen anything like this. 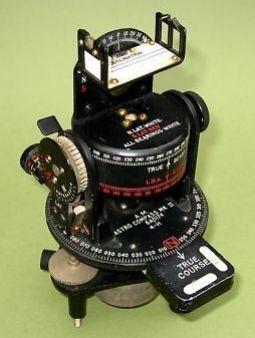 I believe the instrument in the above photo is an Astrocompass. Used for navigation at night using the position of certain stars. Very appropriate to be displayed in conjunction with the Lysander. I might have to add that oil tank just ahead of the control panel.